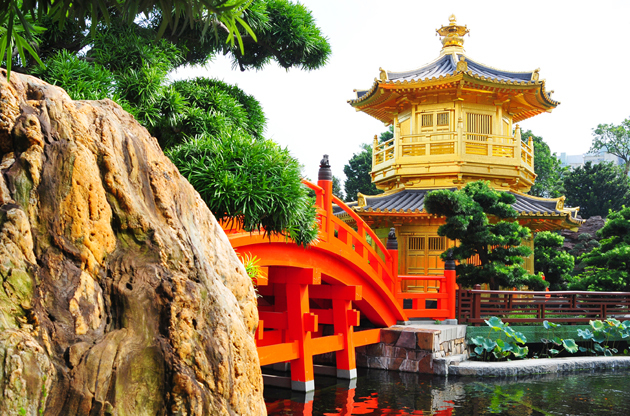 Start your event trip today by reading the full pack travel guide about Hong Kong that includes suggestions on attractions, information about shopping and more. The Pearl of the Orient, Hong Kong is one of the Special Administrative Region of the People’s Republic of China, along with the other, Macau. After all the political disputes that ended up with the principle of ‘one country, two systems’, Hong Kong is now enjoying the honor of being one of the world’s financial capitals. With a population of almost 7 million on such a small island, Hong Kong is among the world’s most densely populated places. However, this density is also a characteristic feature of this city state that makes it a total cosmopolite. Although Hong Kong is amazingly urbanized, it is still one of the places where a large amount of green still surrounds the land. Don’t be fooled by the tall skyscrapers that look like a setting in a Hollywood movie and ultra-stylish buildings. You will be amazed to see how the greenery is preserved and taken care of in the land. You will also notice the incredible subtropical climate that goes really well with the mixed look of the land. The mixture of the political powers that influenced Hong Kong, eventually had a big role shaping the culture which is mostly rooted on the martial arts, architecture and sports. When the society’s beliefs and traditions are added to this impact, it is possible to understand Hong Kong’s culture’s being this diverse and rich. This is also the reason why Hong Kong is referred as the place ‘Where East meets West’ by the vast majority. Witnessing the features that separate Hong Kong from the other Asian countries will truly be an exciting experience. After staying a couple of days, you will also understand why this beautiful land is called ‘The New York of the East’. To make your Hong Kong trip a bit more special than the others, all you have to do is just going with the flow of the city. Hong Kong is located on the South coast of China. It is consisted of more than 250 islands. All the information concerning the visa procedure of Hong Kong is provided on GovHK . Hong Kong Cuisine actually speaks for itself because not only the variety of dishes and ingredients but also eating habits and types of restaurants play a crucial role in this one of the most delicious kitchens ever. Maybe that would be good to start with mentioning, no matter what type of diet or eating styles you follow, you will never feel hunger in Hong Kong. However, you will be the happiest person alive if you are a fan of Asian cuisine. People in Hong Kong usually eat 5 times a day and you might as well try to do so while you are in Hong Kong to feel like a local. These 5 include the breakfast, lunch, afternoon tea, dinner and a late night dinner called Siu Yeh. Apart from a wide range of classic restaurants, you will come across 4 different types of food centers. These are the classic Hong Kong style food stalls. Most of them sell fish balls and roasted chestnut. Shops focusing on one single item, such as Beef Jerky, and sell only the varieties of that. The best places to try pork cutlet and Chinese broccoli. So, now you know where to eat. But what are you going to eat? Well, Hong Kong cuisine has got dishes coming from many other cuisines, such as Buddhist, Hakka, Beijing and Japanese. Century egg, salted duck egg, red bean, hoisin sauce and lotus seed can be listed among the mostly used ingredients. I am sure you’ll find your new favorite dish in Hong Kong, however trying the Hot Pot, in the cooking of which you are a cook as well might be a true experience. Hong Kong will definitely be a satisfactory stop for the ones who like shopping. There are even people who visit this city state just to shop. Hong Kong is cheap. Anything you’ll want to buy will most probably be cheaper than in your hometown. This is because there is no tax in Hong Kong and this clearly affects the pricing system. When the countless offers and choices on shopping are also taken into consideration, the Hong Kong becomes a win win for you in terms of shopping. Antiques and arts, books, cameras, computers, music and films, camping and sports equipment, watches and jewelry are only a small part of the things you may plan to buy in Hong Kong. In addition, traditional tea, chopsticks and porcelains must be on your list. Hong Kong center is filled with important sights to see (these maybe temples, museums, theme parks or skyscrapers that will make you question the architecture as an art) and it has got a shiny night life, there are a lot of festivals and concerts during the whole year. So there is no chance for you to get bored. However, the outskirts, beaches, city parks and the smaller islands around also offer one of a kind tranquil and mesmerizing scenery. You should chose at least one activity that will take the city rush out of your system. That may be hiking in the woods or lying on the sandy beaches. The pearl of the Orient, Hong Kong is an important event host in the world wide. Every year the city becomes the host for a countless number of fairs, exhibitions, tradeshows, congresses, conferences and symposiums. The venues, expo centers and halls that are equipped with the necessary technology to host these kind of events turn Hong Kong into a hub for international meetings. In addition, the charm of Hong Kong and the deep rooted culture of it raises awareness among the attendees and make the city even more interesting to explore.